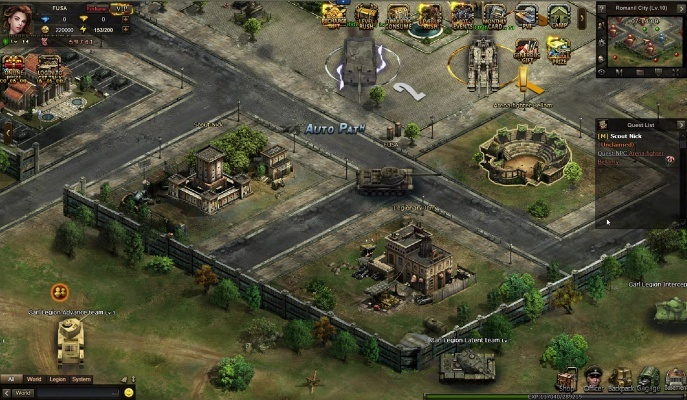 The events of War of Tanks take place in an alternate reality, very similar to our modern world, where everybody is constantly at war for land and resources. Players will pilot combat vehicles and earn experience, gold, and resources, which can be used to upgrade your ground vehicles and aircraft. 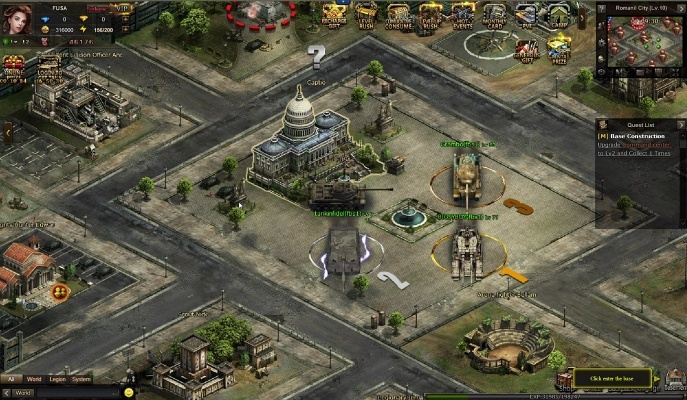 The key aspect of the game is piloting combat vehicles. You'll come across several types and classes of tanks, as well as many other machines, including aircraft. - Unusual protagonist - You control a whole squad instead of just one character. Initially, you have only one pilot and one tank, but over time you'll gain access to a whole range of metal machines, as well as experienced crews. 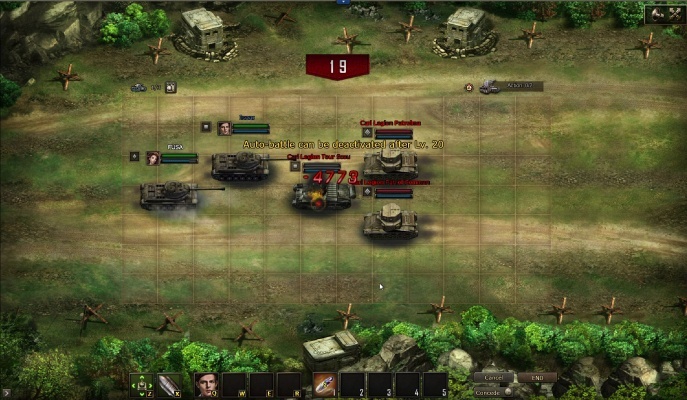 - Many units to choose from - You'll be able to gather a huge collection of various vehicles in the game, from popular and well-known models to unique tanks and helicopters. 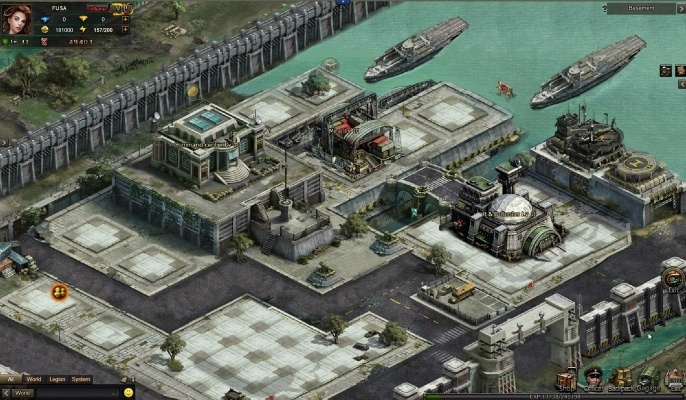 - Base construction and development - Apart from squad management, the player will have an opportunity to construct and develop their own base, which enables the production of new vehicles. - Dismantling - In many games, starting equipment quickly becomes irrelevant because of its low power, defense, or other vital stats. 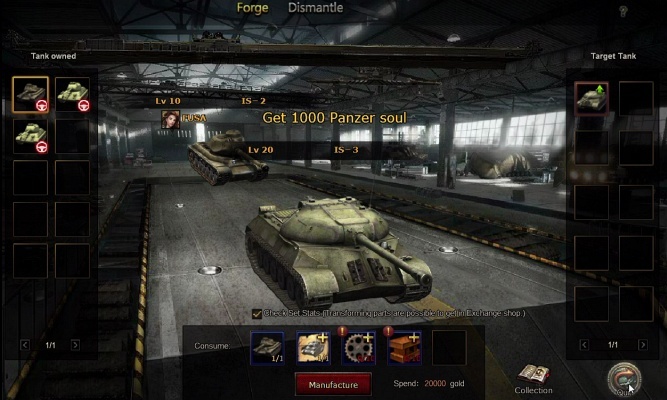 In War of Tanks you can dismantle the items you no longer need, refunding the resources spent for their production, which you can then use for further development. 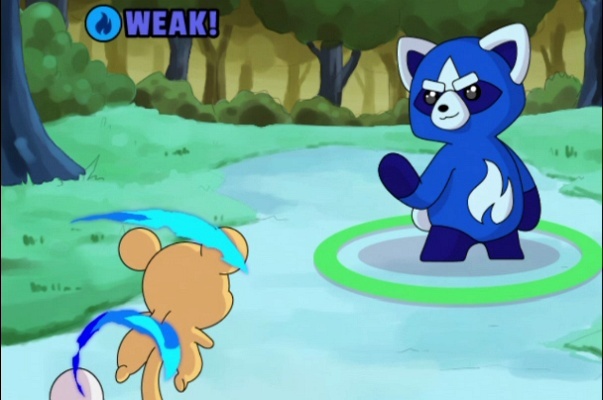 - Auto-battle - When fighting weak opponents, or in cases where you simply don't want to fight yourself, you can use the auto-battle mode. 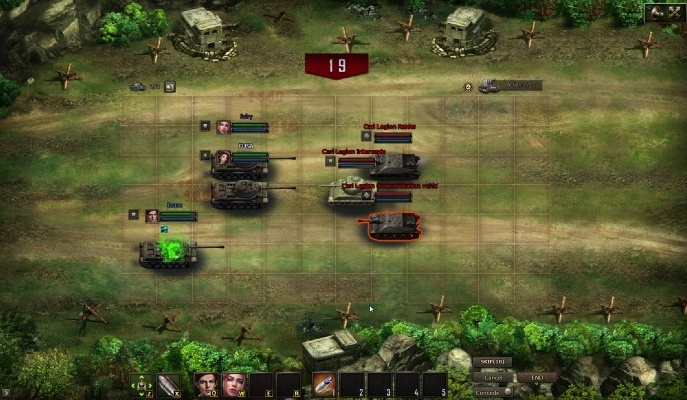 Battle of the Legions : In this mode you can attack your opponents and capture enemy locations. 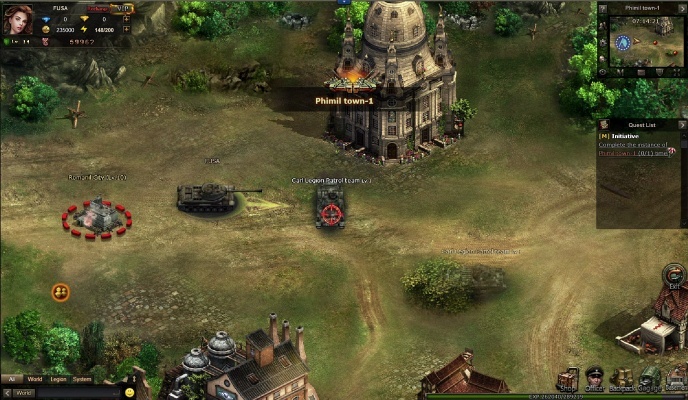 To fulfill your objective you'll have to capture 5 fortresses while fighting back enemy squads. It's a daily event that usually takes place in the evening. - Arena - Here, players can challenge each other. There are no limitations, even a novice can participate. The winner is rewarded with experience and reputation points, which are required for further upgrades. - Boss - Participants are automatically separated into two camps. 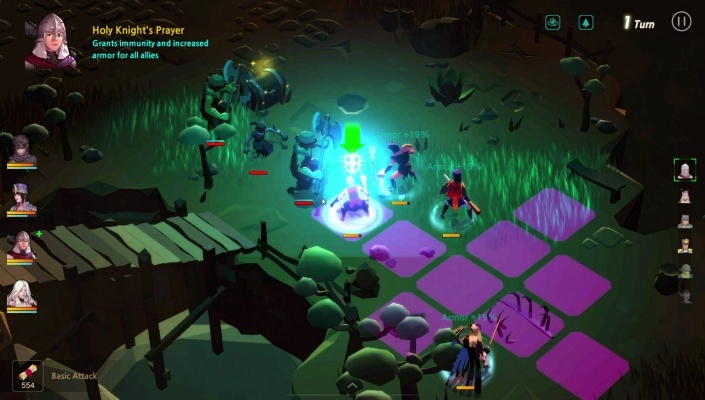 The Boss spawns on one of the teams, and the members of that team have to protect it. 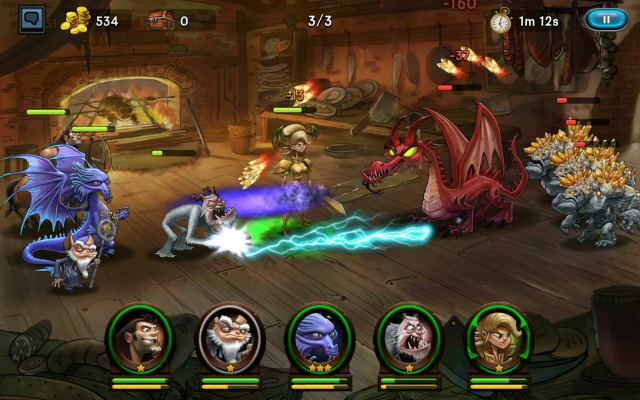 Their opponents' mission is to attack and destroy the Boss. The strongest team wins. - World Tournament - Only accessible for players at level 32 or above. Winners in the tournament mode receive rewards, and their names enter the Hall of Fame. 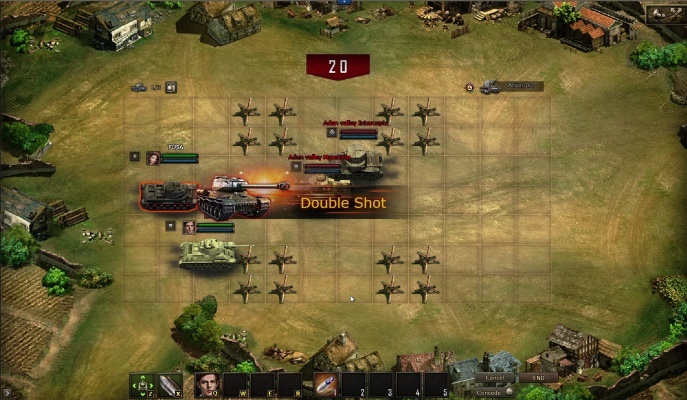 This mode also offers an additional format: Cross Tournament. - Cross-Server Battle - The goal is to collect and transport ammunition while fighting back opponents and preventing them from capturing objectives. 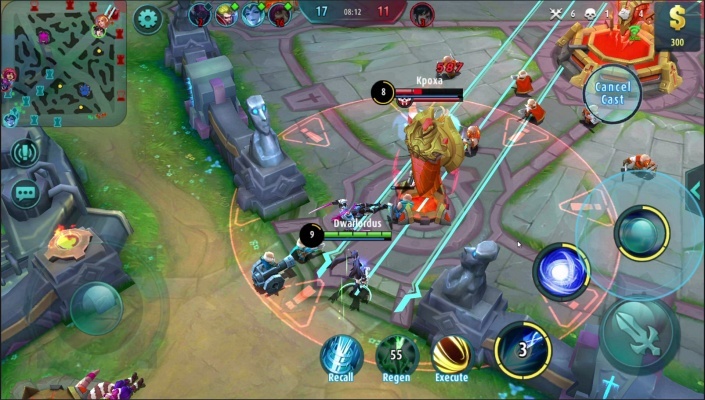 This is a daily event that lets you practice your strategies. Optimal team positioning is essential in order to succeed in this mission.